You need to setup printer base on your first printer. 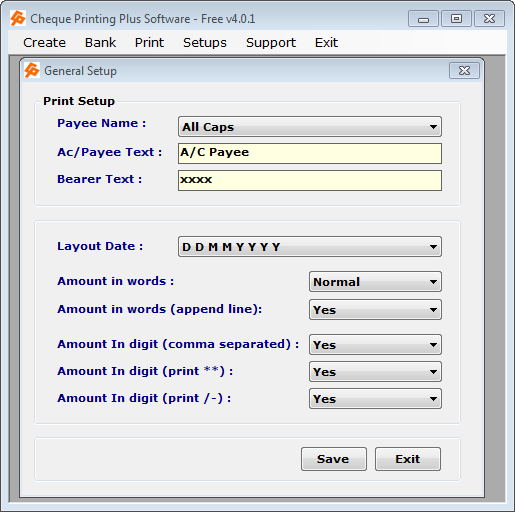 Here Printer Setup in terms of how much we change margin at time of printing and for this software only. This tool is use when your printing either upside or downside normally. Printer setup is also usefully when you your printer show error like “Invalid Paper Size”. You can set printer two ways. You need to use one of them or both option base on your printer. Normally Option 1 is Use for normal single function Inkjet and Laser printer. Option 2 is for advance multifunction Inkjet and Laser Printer. We are not sure or preferred use this software in DOT Matrix printer or Multi Plotter Size Printer. Setup Printer Go to SETUPS menu >> PRINTER SETUP sub menu. Again click on SEARCH in next opened window without writing in field . You can see all printers. 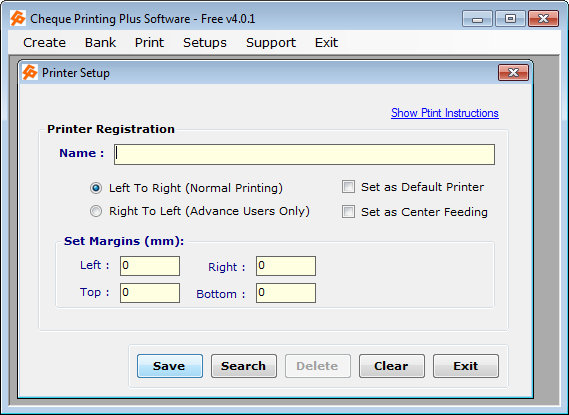 Select your printer type and click on OK.
Now Click on “Set Margins (mm)“. find it in Blue Color. 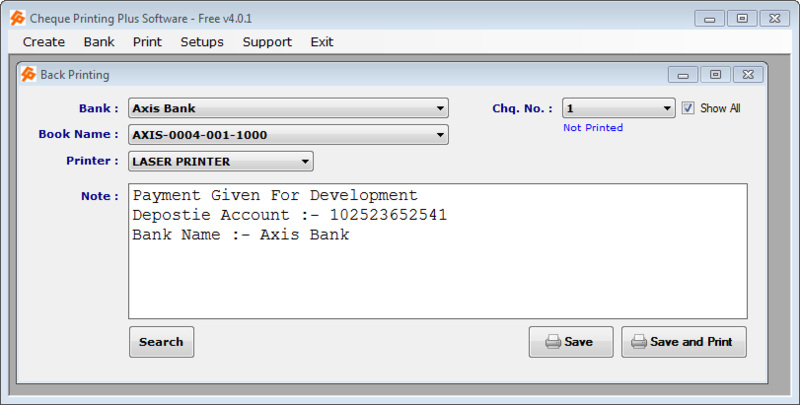 Now in your printed cheque all things are upside like Amount in Word line One is touch to Payee line etc…, add margin in TOP in mm like 4-6 normally. So your print should be down to as per matching. 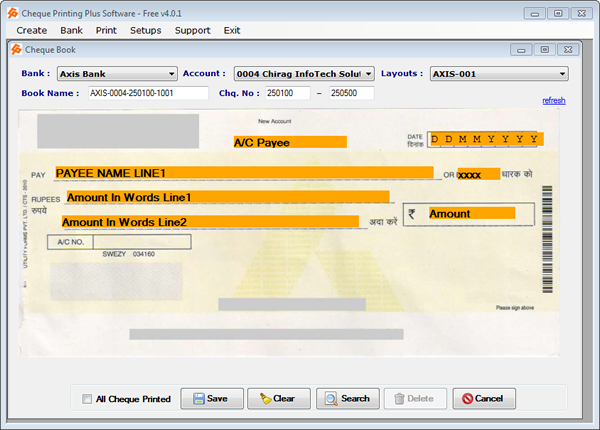 Now in your printed cheque all things are downside like Amount in Word line One is touch to Amount in Word line Two etc…, add margin in Bottom in mm like 4-6 normally. So your print should be down to as per matching. Then make test cheque print and adjust margin follow above notes.